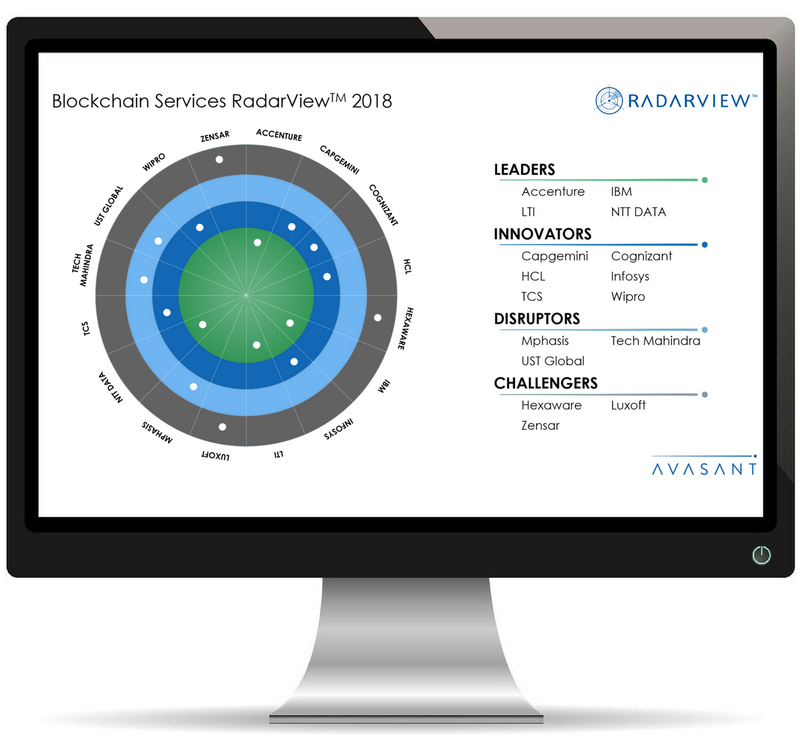 Among endless service provider options, novel and disruptive mechanics in the innovation of Blockchain brings recognition as a Leader for Blockchain Services 2018. Accenture has taken a broad-based approach to Blockchain and has built solutions, offerings and skills across most DLT platforms and technologies. They actively leverage their consulting and domain experience to help clients across the strategy development, use case identification and implementation continuum. As platform agnostics, they are active members of all key consortiums, have founded alliances (Smart Contracts Alliance, the Blockchain Alliance, the Global Blockchain Forum etc.) and have built a robust partnership ecosystem that spans leading technology enterprises (IBM, AWS, Microsoft etc. ), industry associations (Blockchain Research Institute, Hashed Health Consortium etc. ), start up communities and academia. 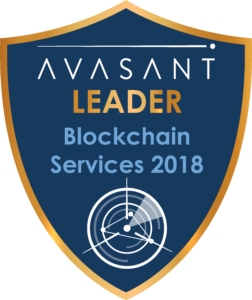 Their sizeable in-house blockchain team works collaboratively with innovation hubs (Dock), Centers of Excellence (Technology Lab in France), consulting, domain and tech teams to develop and deliver multiple industry leading solutions. They continue to expand the practice through aggressive hiring plans. Focus is on building both technical and business centric assets in the future with an emphasis on security and identity. Accenture has taken some industry leading initiatives on the security side with a patentable hardware based security solution (in partnership with Thales), and a patent for a hybrid blockchain that enables tamper-resistance block rewrites by trusted parties (editable blockchain). Another associated area where Accenture is focusing is identity – one of the showcases for their capabilities here is the ID2020 alliance which aims improve lives of forced immigrants through identity provision. Accenture leads and contributes to various initiatives for the technical and use case development of the Blockchain. They have founded a number of alliances and joint-development programs that are providing direction to the industry in terms of business, humanitarian and fundamental usage of Blockchain. Not being wedded to a platform has helped them in using a best of breed solution approach, and has enabled them to emerge as an industry thought leader disseminating their point of view and approach through all key industry forums and engagement platforms.